1. Siegel R.L., Miller K.D., Jemal A. Cancer statistics, 2018. CA Cancer J Clin 2018;68(1):7–30. DOI: 10.3322/caac.21442. PMID: 29313949. 2. Torre L.A., Bray F., Siegel R.L. et al. Global cancer statistics, 2012. CA Cancer J Clin 2015;65(2):87–108. DOI: 10.3322/caac.21262. PMID: 25651787. 3. Torre L.A., Siegel R.L., Ward E.M., Jemal A. Global cancer incidence and mortality rates and trends – an update. Cancer Epidemiol Biomarkers Prev 2016;25(1):16–27. DOI: 10.1158/1055-9965.EPI-15-0578. PMID: 26667886. 4. Noone A.M., Howlader N., Krapcho M. et al. SEER Cancer Statistics Review, 1975–2015, National Cancer Institute. Bethesda, MD, https://seer.cancer.gov/csr/1975_2015/, based on November 2017 SEER data submission, posted to the SEER web site, April 2018. 5. Состояние онкологической помощи населению России в 2017 году. Под ред. А.Д. Каприна, В.В. Старинского, Г.В. Петровой. М.: МНИОИ им. П.А. Герцена – филиал ФГБУ «НМИРЦ» Минздрава России, 2018. 236 с. 6. Злокачественные новообразования в России в 2016 году (заболеваемость и смертность). Под ред. А.Д. Каприна, В.В. Старинского, Г.В. Петровой. М.: МНИОИ им. П.А. Герцена – филиал ФГБУ «НМИРЦ» Минздрава России, 2018. 250 с. 7. Hamdy F.C., Donovan J.L., Lane J.A. et al. 10-year outcomes after monitoring, surgery, or radiotherapy for localized prostate cancer. N Engl J Med 2016;375(15):1415–24. DOI: 10.1056/NEJMoa1606220. PMID: 27626136. 8. Wilt T.J., Jones K.M., Barry M.J. et al. Follow-up of prostatectomy versus observation for early prostate cancer. N Engl J Med 2017;377(2):132–42. DOI: 10.1056/NEJMoa1615869. PMID: 28700844. 9. Patrikidou A., Loriot Y., Eymard J.C. et al. Who dies from prostate cancer? Prostate Cancer Prostatic Dis 2014;17(4):348–52. DOI: 10.1038/pcan.2014.35. PMID: 25311767. 10. Киричек А.А., Камолов Б.Ш., Савё Н.А., В.Б. Матвеев. О стадировании онкоурологических заболеваний по обновленной TNM-классификации 8-го издания. Онкоурология 2018;14(1): 166–72. DOI: 10.17650/1726-9776-2018-14-1-166-172. 11. Zumsteg Z.S., Zelefsky M.J., Woo K.M. Unification of favourable intermediate-, unfavourable intermediate-, and very highrisk stratification criteria for prostate cancer. BJU Int 2017;120(5B):E87–95. DOI: 10.1111/bju.13903. PMID: 28464446. 12. Zumsteg Z.S., Chen Z., Howard L.E. et al. Modified risk stratification grouping using standard clinical and biopsy information for patients undergoing radical prostatectomy: results from SEARCH. Prostate 2017;77(16):1592–600. DOI: 10.1002/pros.23436. PMID: 28994485. 13. Шкурников М.Ю., Макарова Ю.А., Князев Е.Н. и др. Экспрессия циркулирующих микроРНК в связи с лимфогенным метастазированием рака предстательной железы. Онкоурология 2018;14(1):87–93. DOI: 10.17650/17269776-2018-14-1-87-93. 14. Saad F., Latour M., Lattouf J.B. et al. Biopsy based proteomic assay predicts risk of biochemical recurrence after radical prostatectomy. J Urol 2017;197(4):1034– 40. DOI: 10.1016/j.juro.2016.09.116. PMID: 27725152. 15. Eeles R., Goh C., Castro E. et al. The genetic epidemiology of prostate cancer and its clinical implications. Nat Rev Urol 2014;11(1):18–31. DOI: 10.1038/nrurol.2013.266. PMID: 24296704. 16. Kiciński M., Vangronsveld J., Nawrot T.S. An epidemiological reappraisal of the familial aggregation of prostate cancer: a meta-analysis. PLoS One 2011;6(10):e27130. DOI: 10.1371/journal.pone.0027130. PMID: 22073129. 17. Cerhan J.R., Parker A.S., Putnam S.D. et al. Family history and prostate cancer risk in a population-based cohort of Iowa men. Cancer Epidemiol Biomarkers Prev 1999;8: 53–60. PMID: 9950240. 18. Huncharek M., Haddock K.S., Reid R. et al. Smoking as a risk factor for prostate cancer: a meta-analysis of 24 prospective cohort studies. Am J Public Health 2010;100(4):693–701. DOI: 10.2105/AJPH.2008.150508. PMID: 19608952. 19. Nair-Shalliker V., Smith D.P., Egger S. et al. Sun exposure may increase risk of prostate cancer in the high UV environment of New South Wales, Australia: a case-control study. Int J Cancer 2012;131(5):E726–32. PMID: 22173996. 20. Cuzick J., Thorat M.A., Andriole G. et al. Prevention and early detection of prostate cancer. Lancet Oncol 2014;15(11):e484– 92. DOI: 10.1016/S1470-2045(14)702116. PMID: 25281467. 21. Mucci L.A., Hjelmborg J.B., Harris J.R. et al . Familial risk and heritability of cancer among twins in nordic countries. JAMA 2016;315(1):68–76. DOI: 10.1001/jama.2015.17703. PMID: 26746459. 22. MacInnis R.J., Antoniou A.C., Eeles R.A. et al. Prostate cancer segregation analyses using 4390 families from UK and Australian population-based studies. Genet Epidemiol 2010;34(1):42–50. DOI: 10.1002/gepi.20433. PMID: 19492347. 23. Demichelis F., Stanford J.L. Genetic predisposition to prostate cancer: update and future perspectives. Urol Oncol 2015;33(2):75–84. DOI: 10.1016/j.urolonc.2014.04.021. PMID: 24996773. 24. Helfand B.T., Kearns J., Conran C. et al. Clinical validity and utility of genetic risk scores in prostate cancer. Asian J Androl 2016;18(4):509–14. DOI: 10.4103/1008-682X.182981. PMID: 27297129. 25. Stelloo S., Nevedomskaya E., Kim Y. et al. Endogenous androgen receptor proteomic profiling reveals genomic subcomplex involved in prostate tumorigenesis. Oncogene 2018;37(3):313–22. DOI: 10.1038/onc.2017.330. PMID: 28925401. 26. Kim Y.R., Oh K.J., Park R.Y. et al. HOXB13 promotes androgen independent growth of LNCaP prostate cancer cells by the activation of E2F signaling. Mol Cancer 2010;9:124. DOI: 10.1186/1476-4598-9-124. PMID: 20504375. 27. Ewing C.M., Ray A.M., Lange E.M. et al. Germline mutations in HOXB13 and prostate-cancer risk. N Engl J Med 2012;12;366(2):141–9. DOI: 10.1056/NEJMoa1110000. PMID: 22236224. 28. Beebe-Dimmer J.L., Hathcock M., Yee C. et al. The HOXB13 G84E mutation is associated with an increased risk for prostate cancer and other malignancies. Cancer Epidemiol Biomarkers Prev 2015;24(9):1366–72. DOI: 10.1158/1055-9965.EPI-15-0247. PMID: 26108461. 29. Chen Z., Greenwood C., Isaacs W.B. et al. The G84E mutation of HOXB13 is associated with increased risk for prostate cancer: results from the REDUCE trial. Carcinogenesis 2013;34(6):1260–4. DOI: 10.1093/carcin/bgt055. PMID: 23393222. 30. Stott-Miller M., Karyadi D.M., Smith T. et al. HOXB13 mutations in a populationbased, case-control study of prostate cancer. Prostate 2013;73(6):634–41. DOI: 10.1002/pros.22604. PMID: 23129385. 31. Zabalza C.V., Adam M., Burdelski C. et al. HOXB13 overexpression is an independent predictor of early PSA recurrence in prostate cancer treated by radical prostatectomy. Oncotarget 2015;6(14):12822–34. DOI: 10.18632/oncotarget.3431. PMID: 25825985. 32. Xu J., Lange E., Lu L. et al. HOXB13 is a susceptibility gene for prostate cancer: results from the International Consortium for Prostate Cancer Genetics (ICPCG). Hum Genet 2013;132(1):5–14. DOI: 10.1007/s00439-012-1229-4. PMID: 23064873. 33. Kluźniak W., Wokołorczyk D., Kashyap A. et al. The G84E mutation in the HOXB13 gene is associated with an increased risk of prostate cancer in Poland. Prostate 2013;73(5):542–8. DOI: 10.1002/pros.22594. PMID: 23334858. 34. Kote-Jarai Z., Mikropoulos C., Leongamornlert D.A. et al. Prevalence of the HOXB13 G84E germline mutation in British men and correlation with prostate cancer risk, tumour characteristics and clinical outcomes. Ann Oncol 2015;26(4):756–61. DOI: 10.1093/annonc/mdv004. PMID: 25595936. 35. Lin X., Qu, L., Chen Z. et al. A novel germline mutation in HOXB13 is associated with prostate cancer risk in chinese men. Prostate 2013;73(2):169– 75. DOI: 10.1002/pros.22552. PMID: 22718278. 36. Hayano T., Matsui H., Nakaoka H. et al. Germline variants of prostate cancer in japanese families. PLoS One 2016;11(10):e0164233. DOI: 10.1371/journal.pone.0164233. PMID: 27701467. 37. Maia S., Cardoso M., Pinto P. et al. Identification of two novel HOXB13 germline mutations in portuguese prostate cancer patients. PLoS One 2015;15;10(7):e0132728. DOI: 10.1371/journal.pone.0132728. PMID: 26176944. 39. Edwards S.M., Kote-Jarai Z., Meitz J. et al. Two percent of men with early-onset prostate cancer harbor germline mutations in the BRCA2 gene. Am J Hum Genet 2003;72(1):1–12. PMID: 12474142. 40. Leongamornlert D., Mahmud N., Tymrakiewicz M. et al. Germline BRCA1 mutations increase prostate cancer risk. Br J Cancer 2012;106(10):1697–701. DOI: 10.1038/bjc.2012.146. PMID: 22516946. 41. Castro E., Goh C., Olmos D. et al. Germline BRCA mutations are associated with higher risk of nodal involvement, distant metastasis, and poor survival outcomes in prostate cancer. J Clin Oncol 2013;31(14):1748–57. DOI: 10.1200/JCO.2012.43.1882. PMID: 23569316. 42. Akbari M.R., Trachtenberg J., Lee J. et al. Association between germline HOXB13 G84E mutation and risk of prostate cancer. J Natl Cancer Inst 2012;104(16):1260–2. DOI: 10.1093/jnci/djs288. PMID: 22781434. 43. Albitar F., Diep K., Ma W., Albitar M. Synonymous polymorphisms in HOXB13 as a protective factor for prostate cancer. J Cancer 2015;6(5):409–11. DOI: 10.7150/jca.11413. PMID: 25874003. 44. Breyer J.P., Avritt T.G., McReynolds K.M. et al. Confirmation of the HOXB13 G84E germline mutation in familial prostate cancer. Cancer Epidemiol Biomarkers Prev 2012;21(8):1348–53. DOI: 10.1158/1055-9965.EPI-12-0495. PMID: 22714738. 45. Chen H., Ewing C.M., Zheng S. et al. Genetic factors influencing prostate cancer risk in Norwegian men. Prostate 2018;78(3):186–192. DOI: 10.1002/pros.23453. PMID: 29181843. 46. Gudmundsson J., Sulem P., Gudbjartsson D.F. et al. A study based on whole-genome sequencing yields a rare variant at 8q24 associated with prostate cancer. Nat Genet 2012;44(12):1326–9. DOI: 10.1038/ng.2437. PMID: 23104005. 47. Karlsson R., Aly M., Clements M. et al. A population-based assessment of germline HOXB13 G84E mutation and prostate cancer risk. Eur Urol 2014;65(1):169–76. DOI: 10.1016/j.eururo.2012.07.027. PMID: 22841674. 48. Laitinen V.H., Wahlfors T., Saaristo L. et al. HOXB13 G84E mutation in Finland: population-based analysis of prostate, breast, and colorectal cancer risk. Cancer Epidemiol Biomarkers Prev 2013;22(3):452–60. DOI: 10.1158/1055-9965.EPI-12-1000-T. PMID: 23292082. 49. MacInnis R.J., Severi G., Baglietto L. et al. Population-based estimate of prostate cancer risk for carriers of the HOXB13 missense mutation G84E. PLoS One 2013;8(2):e54727. DOI: 10.1371/journal.pone.0054727. PMID: 23457453. 50. Storebjerg T.M., Høyer S., Kirkegaard P. et al. Prevalence of the HOXB13 G84E mutation in Danish men undergoing radical prostatectomy and its correlations with prostate cancer risk and aggressiveness. BJU Int 2016;118(4):646– 53. DOI: 10.1111/bju.13416. PMID: 26779768. 51. Witte J.S., Mefford J., Plummer S.J. et al. HOXB13 mutation and prostate cancer: studies of siblings and aggressive disease. Cancer Epidemiol Biomarkers Prev 2013;22(4):675–80. DOI: 10.1158/1055-9965.EPI-12-1154. PMID: 23396964. 52. Castro E., Goh C., Leongamornlert D. et al. Effect of BRCA mutations on metastatic relapse and cause-specific survival after radical treatment for localised prostate cancer. Eur Urol 2015;68(2):186–93. DOI: 10.1016/j.eururo.2014.10.022. PMID: 25454609. 53. Pritchard C.C., Mateo J., Walsh M.F. et al. Inherited DNA-repair gene mutations in men with metastatic prostate cancer. N Engl J Med 2016;375(5):443– 53. DOI: 10.1056/NEJMoa1603144. PMID: 27433846. 54. Robinson D., Van Allen E.M., Wu Y.M. et al. Integrative clinical genomics of advanced prostate cancer. Cell 2015;161(5):1215–28. DOI: 10.1016/j.cell.2015.05.001. PMID: 26000489. 55. Näslund-Koch C., Nordestgaard B.G., Bojesen S.E. Increased risk for other cancers in addition to breast cancer for CHEK2*1100delC heterozygotes estimated from the copenhagen general population study. J Clin Oncol 2016;34(11):1208–16. DOI: 10.1200/JCO.2015.63.3594. PMID: 26884562. 56. Hale V., Weischer M., Park J. CHEK2 1100delC mutation and risk of prostate cancer. Prostate Cancer 2014;2014:294575. DOI: 10.1155/2014/294575. PMID: 25431674. 57. Wang Y., Dai B., Ye D. CHEK2 mutation and risk of prostate cancer: a systematic review and meta-analysis. Int J Clin Exp Med 2015;8(9):15708–15. PMID: 26629066. 58. Wu Y., Yu H., Zheng S.L. et al. A comprehensive evaluation of CHEK2 germline mutations in men with prostate cancer. Prostate 2018 78(8):607–15. DOI: 10.1002/pros.23505. PMID: 29520813. 59. Ryan S., Jenkins M.A., Win A.K. Risk of prostate cancer in Lynch syndrome: a systematic review and meta-analysis. Cancer Epidemiol Biomarkers Prev 2014;23(3):437–49. DOI: 10.1158/1055-9965.EPI-13-1165. PMID: 24425144. 60. Raymond V.M., Mukherjee B., Wang F. et al. Elevated risk of prostate cancer among men with Lynch syndrome. J Clin Oncol 2013;31(14):1713–8. DOI: 10.1200/JCO.2012.44.1238. PMID: 23530095. 61. Haraldsdottir S., Hampel H., Wei L. et al. Prostate cancer incidence in males with Lynch syndrome. Genet Med 2014;16(7):553–7. DOI: 10.1038/gim.2013.193. PMID: 24434690. 62. Møller P., Seppälä T.T., Bernstein I. et al. Cancer risk and survival in path MMR carriers by gene and gender up to 75 years of age: a report from the Prospective Lynch Syndrome Database. Gut 2018;67(7):1306–16. DOI: 10.1136/gutjnl-2017-314057. PMID: 28754778. 63. Liss M.A., Chen H., Hemal S. et al. Impact of family history on prostate cancer mortality in white men undergoing prostate specific antigen based screening. J Urol 2015;193(1):75–9. DOI: 10.1016/j.juro.2014.07.085. PMID: 25066872. 64. 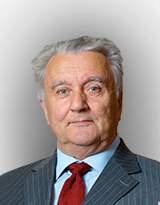 Батенева Е.И., Филиппова М.Г., Тюляндина А.С. и др. Результаты генетического скрининга герминальных мутаций в генах BRCA1 и BRCA2 у больных раком молочной железы и больных раком яичника в российской популяции. Онкогинекология 2015;(3):34–9. 65. Bancroft E.K., Page E.C., Castro E. et al. Targeted prostate cancer screening in BRCA1 and BRCA2 mutation carriers: results from the initial screening round of the IMPACT study. Eur Urol 2014;66(3):489–99. DOI: 10.1016/j.eururo.2014.01.003. PMID: 24484606.